The world of work is changing dramatically and jobs for life have become a thing of the past. Even people moving up the corporate ladder are questioning their choices and considering new possibilities, such as work/life balance or portfolio working. If you want to take charge of your career but don't know where to start, change can feel unobtainable - a pipe dream. 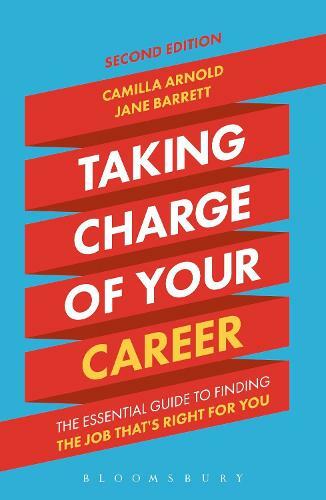 This action-oriented and pragmatic book will help you overcome the barriers to deciding on a career and changing career, giving you a proven roadmap to achieve your goals. Taking Charge of Your Career will lead you step-by-step through the process of building your career strategy and making it happen. Full of exercises and self-assessment tools to help you make the right choices, it also includes real-life stories of successful career changers.